Korean-American actor Daniel is the latest actor to be cast alongside Rain and Lee Na-young for upcoming TV series "Domangja s1," according to his agency Apple Of The Eye on Monday. Apple Of The Eye announced in a press release that the actor will play the role of a shipping tycoon, who falls in love with Lee's character Jin-yi and tries to help her with his wealth and power. "We are happy that Henney will be appearing in a high-quality drama that will be a collaboration between the best director and writer," an official at Apple was quoted as saying. "Daniel Henney is focusing on studying his character and is highly looking forward to meeting viewers on the small screen for the first time in a long while." The series will be directed by noted television producer Kwak Jung-hwan and written by Chun Sung-il, the duo behind the recent hit TV series "The Slave Hunters" earlier this year. Chun has revealed that he "had Henney in mind" since first creating the character, whom he described as having "a cold-blooded charisma underneath a warm smile." So far, the A-list line-up for the romantic comedy-intelligence action drama includes multi-talented entertainer Rain, actress Lee Na-young and actor Lee Jung-jin. Filming for "Domangja s1," about a hefty sum of money popping up sixty years after it disappeared in times of the Korean War, will take place in various Asian cities including Tokyo, Osaka, Yokohama, Shanghai, Beijing, Macau and Hong Kong. Born in Michigan to a Korean-American mother and an American father of British descent, Henney made his debut in the Korean entertainment business as a model and gained fame appearing in television commercials alongside top Korean actresses Jun Ji-hyun and Kim Tae-hee. With his good looks and mild personality, he became a phenomenon around the country after appearing in the smash hit drama "My Name Is Kim Sam Soon" in 2005. He had no Korean-speaking lines in the show. Last year, he had a supporting role alongside top Hollywood actor Hugh Jackman in the action film "X-Men Origins: Wolverine" and scored his first gig on a U.S. television drama "Three Rivers" (CBS). Medical transplant drama "Rivers" was cancelled after the first eight episodes. "Domangja s1" will premiere in Korea around late September. Lee Jung-jin joins Rain, Lee Na-young for "Fugitive"
Korean actor Lee Jung-jin has joined Rain and Lee Na-young as the main cast of upcoming KBS TV series "The Fugitive," according to his agency Jambo Entertainment on Friday. Jambo announced that the actor will be playing the role of Do-soo, an ambitious investigator who chases after Rain and Lee's character regarding a mysterious incident. "Undoubtedly I am lucky to be getting to take part in the drama 'The Fugitive,'" the actor was quoted as saying. "I will make a very strong impression on the viewers who have high expectations." Filming for "Fugitive," about a hefty sum of money popping up sixty years after it disappeared in times of the Korean War, will take place in various Asian cities including Tokyo, Osaka, Yokohama, Shanghai, Beijing, Macau and Hong Kong. The series will be directed by noted television producer Kwak Jung-hwan and written by Chun Sung-il, who collaborated on the recent hit TV series "The Slave Hunters" earlier this year. Lee, 32, made his debut in 1998 through popular sitcom "Soonpoong Clinic" (SBS, 1998) and has since starred in many television dramas and films including "9 End 2 Outs" (MBC, 2007), "Love Story in Harvard (SBS, 2004)" and "Mapado" (2005). He is currently a regular cast member in the popular variety show segment "Qualification of a Man" on KBS2 TV's "Happy Sunday." 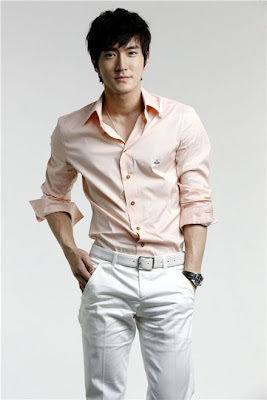 Super Junior member Choi Si-won will be joining the A-list cast of upcoming action TV series "Athena," the spin-off to last year's hit blockbuster drama "IRIS," according to the show's producer Taewon Entertainment on Friday. Taewon announced in a press release that Si-won will be gracing the small screen as Kim Joon-ho, a new recruit at intelligence agency NTS, who dreams of becoming a spy, in the show starring Korean stars Jung Woo-sung, Cha Seung-won, Soo-ae and E Ji-ah. Choi is currently receiving training for the action sequences although he is also promoting "BONAMANA," his boy band's fourth studio release. Taewon plans on airing "Athena,” about terrorist acts and threats against the Korean Peninsula and the world, during the latter half of this year. It will go into production starting in June in Italy and Switzerland and continue on into six other countries including Singapore and New Zealand. Choi made his music debut in the 13-member boy band Super Junior, known as one of the most popular K-pop acts in the country and throughout Asia. He made his acting debut in 2005 in the KBS TV series "Eighteen, Twenty-Nine" and action picture "A Battle of Wits." The pop idol recently played the role of Sung Min-woo in the SBS hit drama "Oh! My Lady" alongside Hallyu star Chae-lim. Korean actress Lee Na-young has been cast in upcoming KBS TV series tentatively titled "The Fugitive," making her first small screen comeback in six years. According to various industry sources, the actress is set to play the female lead opposite Rain, who is also returning to the small screen for the first time since starring in the 2005 SBS drama "A Love To Kill." Lee's agency remained cautious about the news, however, saying they are "in negotiations" but has not yet finalized the deal. "Fugitive" will be directed by noted television producer Kwak Jung-hwan and written by Chun Sung-il, the duo behind the recent hit TV series "The Slave Hunters." Lee, 31, first rose to stardom with TV series "Ruler of Your Own World" (MBC, 2002) and was last seen on the small screen in "Ireland" (MBC, 2004). She has also starred in several notable films such as "Please Teach Me English" (2003) and "Maundy Thursday" (2006) and "Someone Special," for which she won best actress at the 25th Blue Dragon Film Awards.